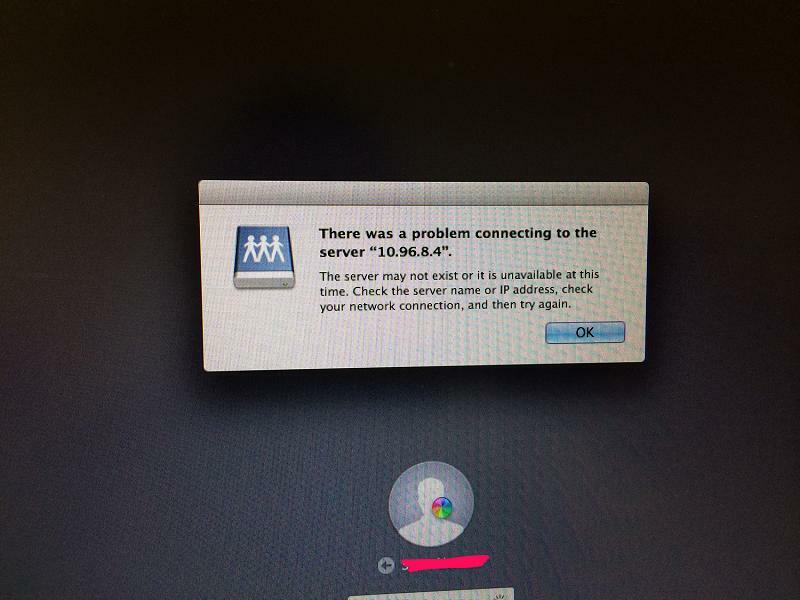 We've recently integrated all of our Macs to our Active Directory environment, and some of our users have MacBooks. When "binding" their laptops to the domain, I enabled "Create mobile account at login" so that they wouldn't have to be connected to our network in order to login to their account. Doing this set up a user's home folder on our server, which automatically connects on startup. Here's the thing: If they aren't connected to the network, the home folder on the server can't be found. It takes about forty-five seconds to a minute before getting the error (see below) saying it couldn't connect to the server, and as you might expect, it's frustrating a few of our users (myself included). Is there any way to prevent this home folder from trying to connect on startup? I checked the Login Items, and nothing was in there. Do you have "Force local home directory on startup disk" checked? Not the answer you're looking for? Browse other questions tagged active-directory domain . How long are Windows Server 2003 Active Directory credentials cached on Snow Leopard?